Pic one: my very gross tattoo before the treatment. Yea what was I thinking??? Pic 3: a gross mess. But it wasn't hurting. It actually looks worse because of the goop you have to keep on it. Pic 4..Almost all the way healed and wow at the amount of color that is gone from it. Granted it isn't a clear pic because I had to take it myself, but you get the idea. I can't wait for four more weeks so I can post the next treatment pics!! It's pretty interesting to see the timeline of how your picosure treatment went in those pictures! I would have never guessed that it would have looked like that in the second picture right after the treatment. After two weeks, it looks like it's improved really well and healed sufficiently since the 24 hour picture next to it. Thanks Susan for showing how this will look! All tattoos are unique so solutions provided depending upon the nature and feature of the tattoo are different in nature. All though, there are varying http://www.allwhite3000.com/tattoo-removal-machines/ methods and creams available in the market, which claim to offer satisfactory service as far as removing tattoo, is concerned. Tattoos have been around since man first learned how to control and use fire to improve the human condition on Earth, but it wasn't until the last century Painfree tattoo removal. 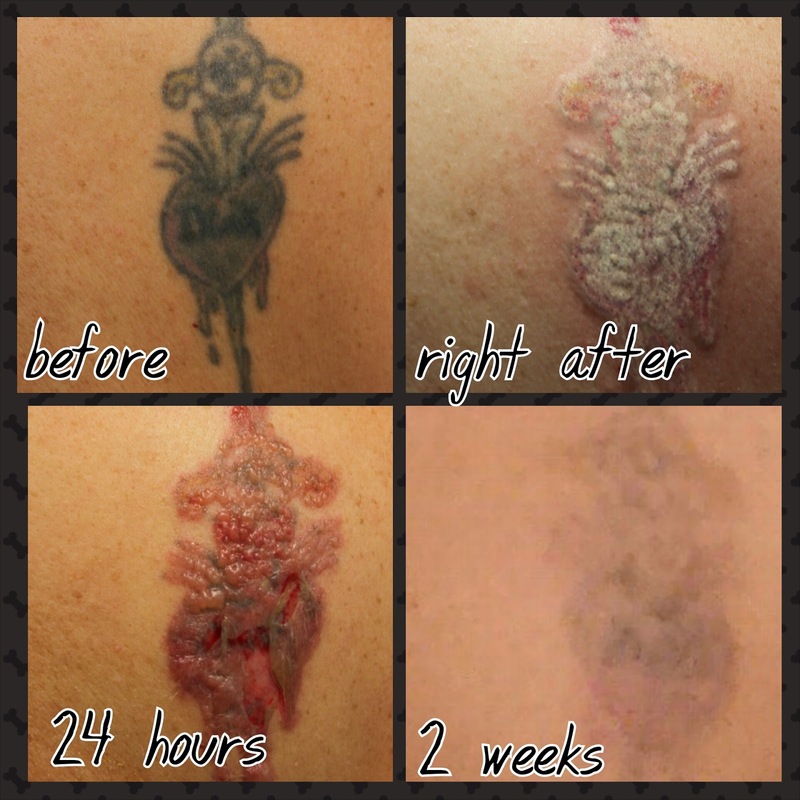 that forms of tattoo removal began to make great strides in effectiveness without leaving severe scar tissue.